On any given day, you can hear aircraft engines on the airfield, weapons fire, and generators at our numerous construction and repair sites here. When noise approaches or exceed 85 decibels, the sound of a common lawn mower, supervisors should make sure their teams have hearing protection. And we should wear it. But sometimes we can’t prepare. I deployed to Iraq in 2004 and will never forget the sound produced by an apparent explosion that seemed to occur immediately outside of my tent. 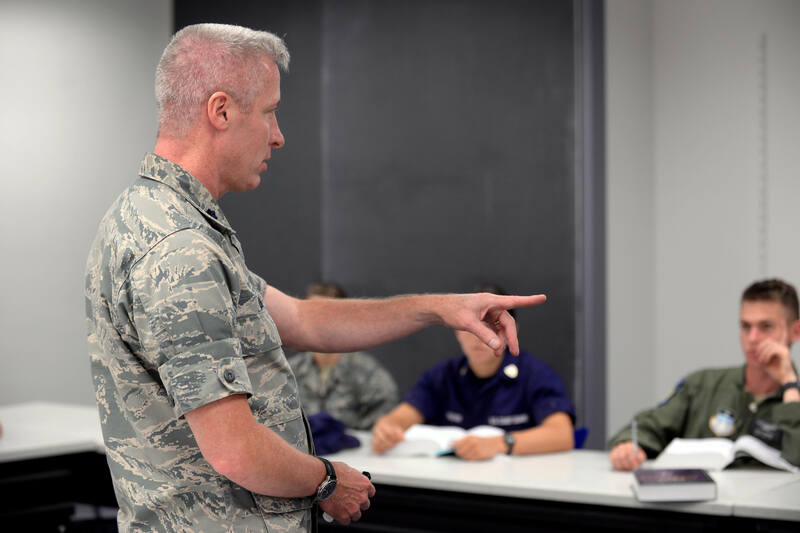 Hundreds of Airmen at the Academy deploy each year to a combat zone, a situation that often exposes them to unexpected loud noises. In situations like these, there’s little time to use our hearing protection. What about when we’re off duty? Our supervisors won’t follow us home to monitor our exposure to loud noises, so protecting our hearing might be even more important off duty as it is when we’re on duty. We all enjoy live music, right? Rock bands often tend to perform at ear-shattering levels. The heavy metal band Manowar performed at 129.5 decibels in 1984, Leftfield at 137 decibels in 1996, and KISS at 136 decibels in 2009. Any noise beyond 115 decibels can damage your hearing in less than 30 seconds. Many celebrities and famous people have been diagnosed with hearing loss, but it’s especially prevalent among musicians, including Sting, Pete Townsend of The Who, Phil Collins of Genesis, Bono of U2, and will.i.am of The Black Eyed Peas. Hollywood actors and other famous people often suffer the same issue. William Shatner and Leonard Nimoy of TV’s original “Star Trek” series were diagnosed with hearing loss in the wake of an on-the-set explosion; former President and actor Ronald Reagan suffered hearing loss after a gun containing blanks was fired in his direction on the set. Other celebrities with hearing loss are former Late Show host David Letterman; Hollywood actors Keanu Reeves and Sylvester Stallone; and former President Bill Clinton. Your vision can often be restored to “100 percent” with corrective lenses, but your hearing will never return to “normal” once it’s lost. Believe me, I know from having worn hearing aids for three years. Still, it is possible and relatively easy to prevent noise-induced hearing loss. My hearing aids compensate for my hearing loss to a large degree, but once your hearing is gone, it’s gone. So protect it.